Benedykt Tadeusz Dybowski (12 May 1833 – 31 January 1930) was a Polish naturalist and physician. Benedykt Dybowski was born in Adamaryni of Navahrudak Uyezd of Grodno Governorate in the Russian Empire and was the brother of the Polish naturalist Władysław Dybowski and the cousin of the French explorer Jean Dybowski. He studied at Minsk high school, and later medicine at Tartu (earlier Dorpat) University (Estonia). 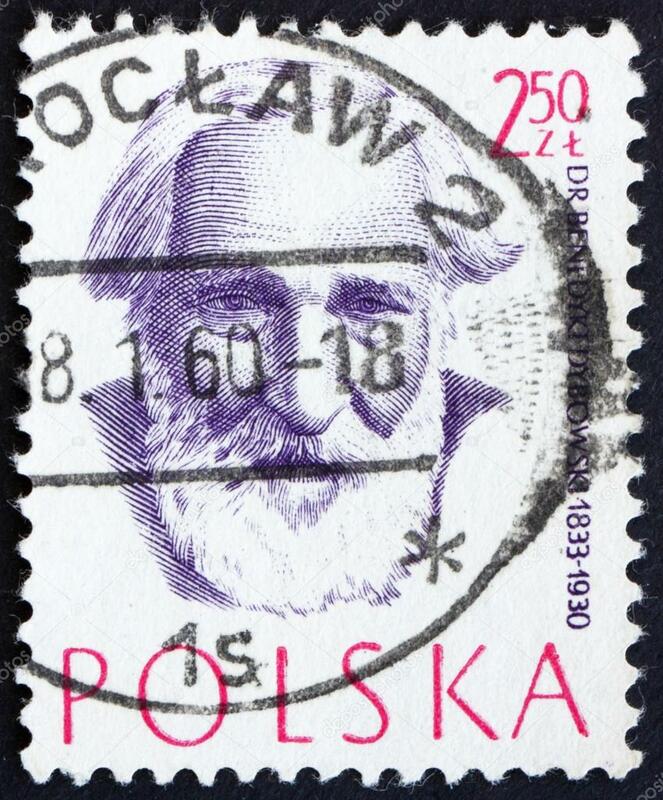 He later studied at Wroclaw University and went on expeditions to seek and study oceanic fishes and crustaceans. He became a Professor of Zoology at the Warsaw main school. In 1864 he was arrested and condemned to death for taking part in the Polish January Uprising. His sentence was later reduced to 12 years in Siberia. He started studying the natural history of Siberia and in 1866 a governor Muraviov dismissed Dybowski from hard labour (katorga), renewed his civil rights and proposed him to work as a doctor in hospital. He later settled in the small village Kultuk and began a detailed study of Baikal Lake with some technical support from the Russian Geographical Society. He served as a medical doctor for the indigenous population ofKamchatka, the Aleutian Islands, the Commander Islands, Bering Island, making four trips per year around the populated areas there. After returning from Asia he continued research work at Lviv University. He was a president of the Polish Copernicus Society of Naturalists (1886–87). In 1927 the Academy of Sciences in the USSR elected Dybowski as a member-correspondent. Apart from that in 1921 Dybowski was given an honorary doctorate by the Warsaw’s University, and in 1923 by the University of Wilno. On Dybowski’s 95th birthday he was congratulated by the Shevchenko Scientific Society government. Dybowski spent the last years of his life in Lwów, in his house on Kubanskaia 12. Dybowski died at the age of 97. He is buried in Lwów on the Łyczakowski Cemetery among the participants of the Polish Uprising of 1863. Most of his collection of zoological and botanical specimens is now in the Lwów Zoological museum. An amphipod (Gammaracanthuskytodermogammarus loricatobaicalensis), supposedly from Lake Baikal and named by him was once considered the longest scientific name. However, that name is no longer considered valid. In February 2014, traveller Jacek Pałkiewicz unvelied a memorial plaque to Dybowski in Petropavlovsk-Kamchatski. Jump up^ Iłowiecki, Maciej (1981). Dzieje nauki polskiej. Warszawa: Wydawnictwo Interpress. p. 164. ISBN 83-223-1876-6. Jump up^ Dybowski 1926 Bull. internat. Acad. Cracovie, (B) 1926:61. Jump up^ Pałkiewicz odsłania tablicę Dybowskiego na Kamczatce at Rzeczpospolita, 6 February 2014.